Property sale and leases, and business sales from around the state. Malone Commercial Brokers’ Karen Rich presented the Southern Maine Retail Forecast in the Sector Analysis portion of the Maine Real Estate & Development Association’s Forecast Conference and Member Showcase. A record 1,000 real estate professionals attended on January 17, 2019. See Karen’s presentation below in video format or click here to go to our “Reports” page for PDF. The site was just waiting to be developed. Read more on the site and listing broker Andrew Ingalls’ interview in this November 14 article from Mainebiz. It was a near full house at this forum held Oct 17 at the Portland Public Library. Jennifer Small, Associate Broker at Malone was one of the four panelists at this Business Breakfast Forum led by Portland Press Herald Business Reporter, J. Craig Anderson. The panel discussion included existing properties and new construction in Portland and how that impacts Class A and Class B office, downtown, mixed use, the suburban market, traffic and parking. The panel also did a Q&A with the audience. Panelists: Drew Anderson, Attorney & Partner - Murray Plumb & Murray; Sam LeGeyt, Associate Broker - NAI/The Dunham Group; Jennifer Small, Associate Broker - Malone Commercial Brokers; Nate Stevens, Associate Broker - CBRE/The Boulos Co.
Casco Systems is relocating its engineering headquarters to 197 Gray Road, also in Cumberland. Groundbreaking for Portland's first unsubsidized workforce housing in the city's history: Parris Terraces at 60 Parris Street in the Bayside neighborhood. Pictured: Portland Mayor Ethan Strimling, Portland City Councilor Jill Duson, Jak Soley (Developer: Horton LLC), Jesse Thompson (Architect: Kaplan & Thompson), Noel Graydon (Finance: Norway Savings Bank), Peter Harrington (Malone Commercial Brokers), Ali Malone and Andrew Roy (Portside Real Estate Group). Press Herald Business Breakfast Forum: Tax Cuts-Help or Hindrance? Mark Malone, CCIM and Marie Gresik of Malone Commercial Brokers attended the Portland Press Herald's Business Breakfast Forum held at the Portland Public Library on February 28 on the tax cuts and jobs act signed into law by President Trump last December. They heard from a panel of Southern Maine's business community about the changes that they have seen so far in 2018. We are proud to announce that Cheri Bonawitz, Karen Rich and Brandon Mitchell are now associated with Malone Commercial Brokers. Cheri is a Broker and CCIM (Certified Commercial Investment Member). She has extensive experience in the leasing and sale of commercial and investment real estate. Karen is a Broker and has been practicing commercial real estate in Maine since 1991. Her expertise in assembling development sites throughout Maine has proven valuable to her clients. Brandon is an Associate Broker. 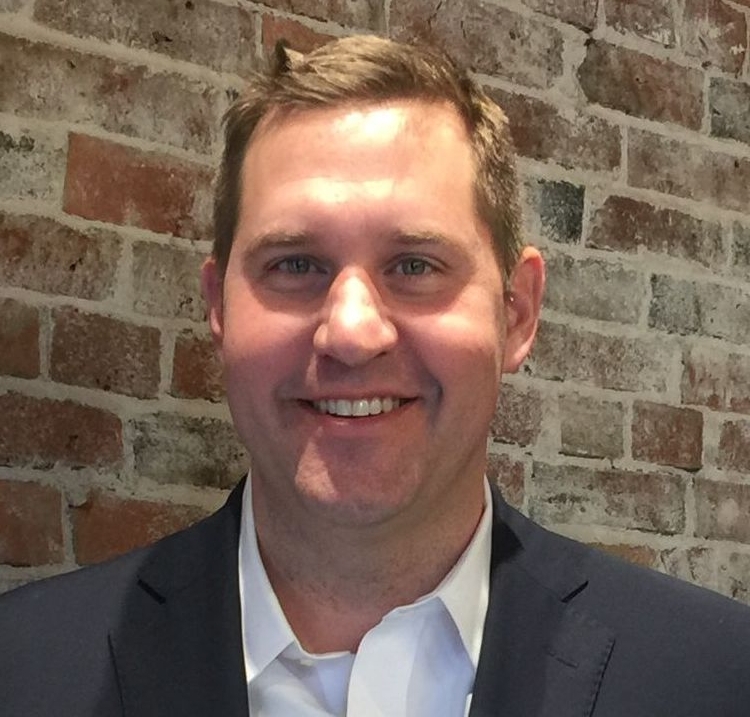 His previous career in construction management gives him first-hand knowledge and experience in land use regulations, zoning, site work requirements and building costs. Mark Malone, CCIM attended International Council of Shopping Centers' New York Deal Making conference Dec 6 & 7th. "An upbeat show at ICSC in NY this year. 10,000 in attendance and mood is positive going into 2018." See Insights from ICSC New York (Video). Ramblers Way opened November 9th at 75 Market Street. The Kennebunk-based company creates responsibly sourced, skillfully crafted American made sustainable clothing. 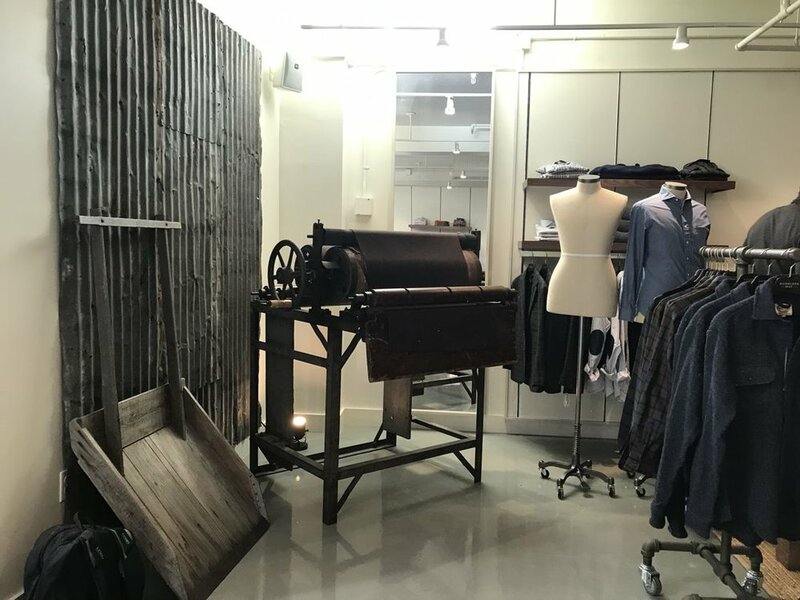 The 5,000 SF store includes 3,000 SF of retail space and the remaining space for custom order sewing stations. Other store locations: Kennebunk, Portsmouth, NH and Hanover, NH. Peter Harrington of Malone Commercial Brokers is the listing broker for 75 Market Street. Peter spoke with Ramblers Way founder Tom Chappell during a tour of the new store earlier today. The Maine Association of Realtors (MAR) held its 2017 Annual Convention & Trade Show on October 10-12 at the Samoset Resort in Rockport. Peter Harrington of Malone Commercial Brokers was installed as 2018 President-Elect for MAR. He was appointed to the 2018 RPAC Participation Council, Member: State Representative by National Association Realtor's President Elizabeth Mendenhall. Pete is also a designated Sterling RPAC Major Investor. Malone Commercial Brokers is proud to have represented Maine Medical Center in their acquisition of One Riverfront Plaza in Westbrook, the largest office building in downtown Westbrook. The 134,000 SF building was purchased for $10,750,000 and it will house Maine Medical Center (MMC) information services team and other administrative employees (400-500) who are currently spread across eight office locations. (New England Real Estate Journal, 7/7/2017) Mark Malone, Joe Malone and Jennifer Small worked on the project with the MMC team over the last several months. Mougalian Rugs opened quietly back on November 21, 2016 at 175 Anderson Street in Portland. Earlier this month the company held an open house/cocktail party to celebrate the new Mougalian Rugs store. Mougalian Rugs has been in business for three generations, starting with Robert & Ruth Mougalian who first began selling rugs from a store in the back of their home in Buxton in the early 1970s. In 1988, their son Randall, built a store for his parents in Scarborough. Family Crisis Services (FCS) held their 2017 Gala fundraising event on May 11th at the Portland Harborview Hotel. Their goal was to raise $30,000. 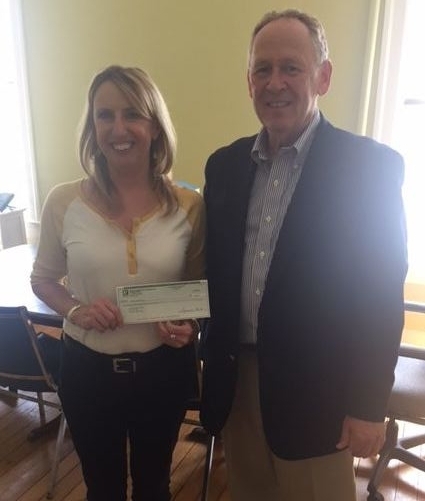 John Doyon of Malone Commercial Brokers presented a $3,200 check on behalf of the Maine Association of Realtors (MAR) Foundation and Maine Commercial Association of Realtors (MCAR) to FCS Director Rebecca Hobbs in conjunction with the gala. 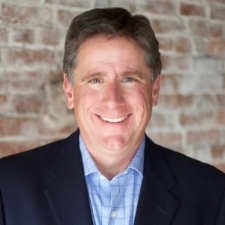 John has raised funds for FCS for over 20 years, and most recently worked in conjunction with the Women’s Council of Realtors with the MAR Foundation providing a matching contribution. FCS paid tribute to the Women’s Council of Realtors which raises funds every year for FCS. MCAR received an honorable mention. Diversified Partners LLC and Fancy Sauce LLC have purchased a portion of the Portland Elks Lodge for $1,250,000. The entire property included a 23,090± SF lodge building on nearly 7 acres at 1945 Congress Street. Portland Lodge #188 BPOE of USA was the seller. In a unique sale arrangement, the purchasers formed a three property condominium and acquired the development rights to the excess land on two of the condo units, while also reducing the Elks Lodge to 13,500+/- square feet and leaving the Elks Lodge in place, in soon to be renovated building. The property went under contract in 2014 and closed April 20, 2017, after a long permitting process. Northland Enterprises will be developing the property into offices for Clark Insurance and a medical office building. The lodge building will also be completely renovated for the Elks #188 Lodge. 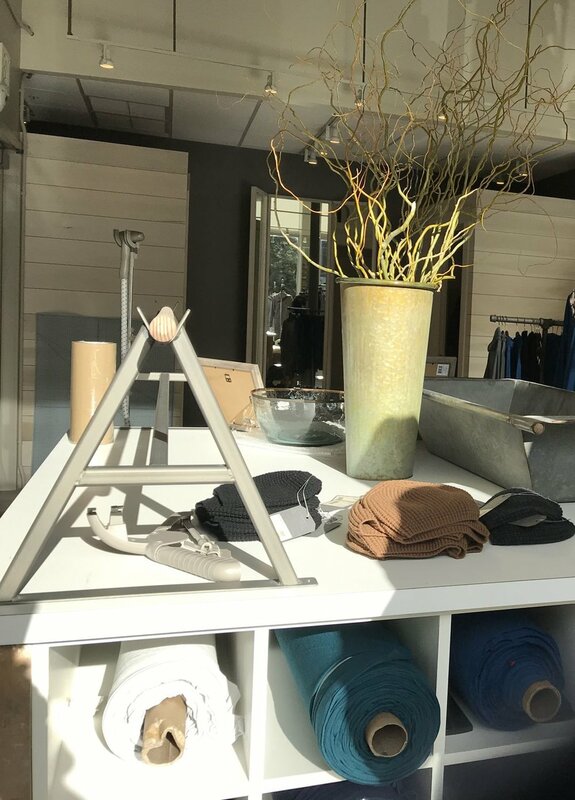 Simon Pearce opened its Portland store at 111 Commercial Street. The company's other locations include Boston, Greenwich and Westport CT, Burlington and Quechee VT and Hanover NH. Peter Harrington of Malone Commercial Brokers represented the landlord, Blanchard Block LLC, and Tim Duffy of The McDevitt Company represented Simon Pearce in the leasing of the 2,075 SF retail space in Portland's Old Port. 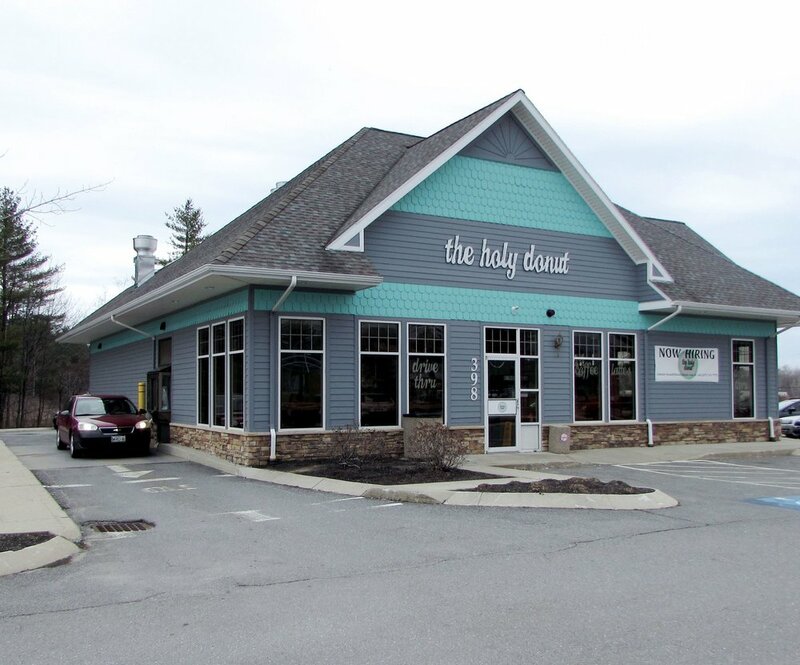 The Holy Donut opened earlier this month at 398 U.S. Route 1 in Scarborough. General Manager Jeff Buckwalter was tasked by The Holy Donut owner and founder Leigh Kellis with finding space for a new store. Mark Malone, CCIM and Marie Gresik helped The Holy Donut in its search for the best space and location for its 3rd store. The new Scarborough store is located at the lighted intersection of U.S. Route 1 and the Haigis Parkway and less than 5 minutes from the Maine Turnpike. 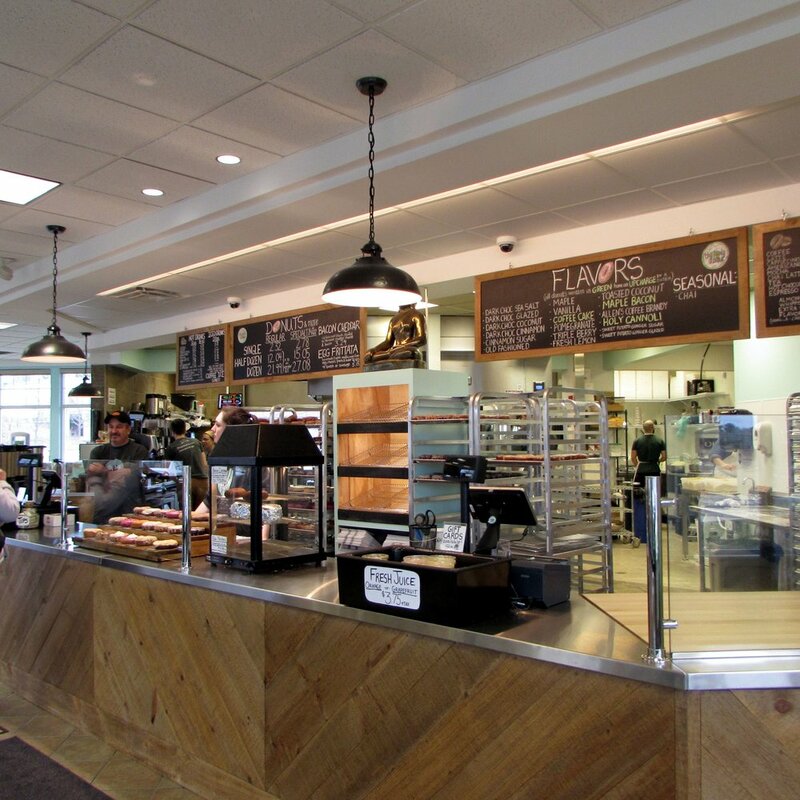 The 3,080 SF former Tim Horton’s building was a great match for the Portland-based company. Jeff indicated that this store will also serve as the main baking facility for The Holy Donut’s other Greater Portland locations. Founder Leigh Kellis was recently awarded Maine’s Small Business Person of the Year. In an interview about the SBA award with WCSH’s Beth McEvoy, Kellis indicated that on a busy Saturday we’ve sold nearly 10,000 donuts. “This location we picked because of its exposure to Route 1 and its ability to challenge our staff. I can’t thank Mark and Marie enough for finding this space.” added Jeff. Malone Commercial Brokers brokered the transaction, Mark Malone, CCIM of Malone Commercial Brokers represented The Holy Donut and Kevin Fletcher, CCIM of Malone Commercial Brokers, CCIM represented the landlord in the lease negotiations. 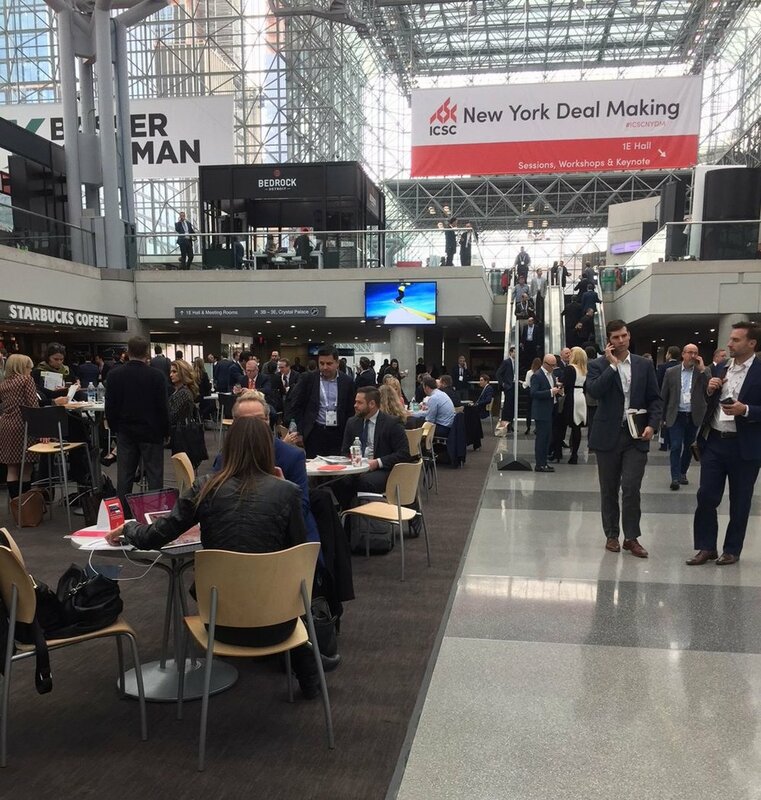 Mark Malone attended this year’s ICSC (International Council of Shopping Centers) New York National Deal Making conference held at the Jacob Javits Center in New York City, December 5 & 6th. The conference’s key note presentation was given by Kevin Plank, Founder and CEO of Under Armour. It was reported there was record attendance this year with some 10,000 developers, retailers, brokers and other retail real estate professionals attending.